The GOBCC Reservation Site has been temporarily disabled. Unfortunately, we are not taking room reservations at this time. 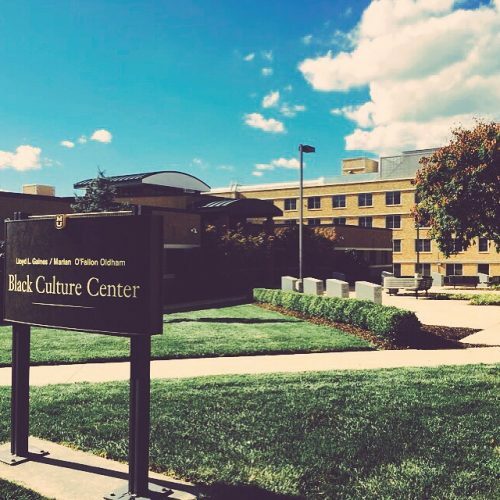 The Gaines/Oldham Black Culture Center (GOBCC) is a 12,000 square foot facility located on the University of Missouri campus. Space within the facility can be reserved by University departments, student organizations, and the Columbia community. Please note that some of our rates and policies have changed. Click the links below to view the reservation policy, request a space, submit a digital display ad, submit a request to add in our weekly newsletter, or to view our facilities.